As you may know, I have partnered with Daniel Ferry to offer an irresistible bundle of Excel goodness: Excel School + Excel Hero Academy. Today is the last day to enroll in this combined program. More than hundred eager & enthusiastic bunch of participants have already joined us. 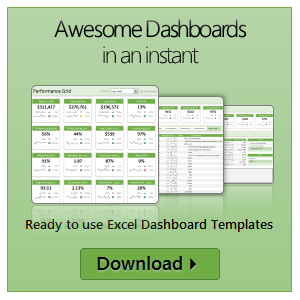 As you read this, there are dozens of people becoming awesome in Excel. If you have been waiting to enroll, now is the time. I am super-excited to announce an my first joint Excel course with none other than Excel Hero – Daniel Ferry. For the the first time, you get basic, intermediate, advanced & super-advanced Excel + VBA course in one neat package. 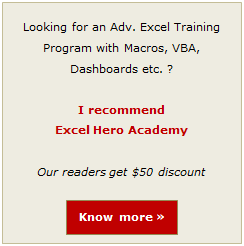 I am happy to present Excel School + Excel Hero Academy course bundle for your consideration. What is this course bundle & How it can help you? 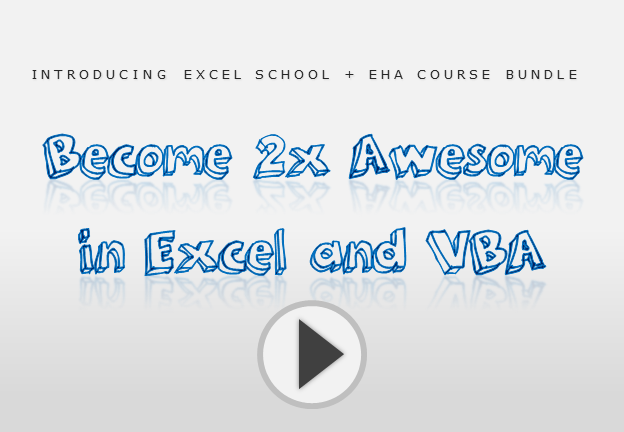 Simply put, this course package is designed to make you 2x awesome in Excel, VBA & Dashboards. Please watch below video to understand how our course can help you.